With the shine of the next-generation launches out of the way now, it's time to play the waiting game as video games go into hibernation over the holidays. But that doesn't mean things aren't happening - Europe gets to gloat over the US for once, and there's a special announcement in this week's Tuesday Game Room! 1. Man, the Xbox 360 Guide screen has the lowest-res text I've ever seen. Text is crisp and great everywhere else, in game and on the dashboard at 1080p, but pull up the guide button? Sheesh, I'm pretty sure the Commodore 64 had better text clarity. 2. In XCOM: Enemy Within, the game I chose to test out this new TV, turns out I was about to hit the XCOM Base Defense mission. So, point 2... yup. The Base Defense event begins with XCOM HQ - your one safe haven in the harsh, unforgiving world of XCOM - coming under alien attack, and the ominous warning: Fail this mission and the game is over. Not in an 'oh man you can't recover from this!' way, in a 'no literally start a new game because you're done' way. No pressure then! I spent over an hour being beset by swathes of Aliens, from sectoid commanders to Cyberdiscs to my first encounter with a Sectoid Mech (not something I want to experience again), in a tale of great highs - wherein my reinforcements of XCOM base personnel, the equivalent of rookies with basic gear, managed to take down a Cyberdisc whilst on overwatch the moment it showed up - and great lows - like how said group of Base personnel were immediately slaughtered moments later by some Chrysalids that got the drop on them, forcing my better-trained squaddies to put their zombified corpses out of their misery - but in the end I was triumphant, meaning that XCOM lived to fight another day. Suffice to say, it would've made a pretty great episode of Ghost in The Machine's dream XCOM TV show. Where&apos;s my XCOM movie or TV show? Gran Turismo 6 is out on the PS3. Just gonna come out and say it. That's it. Like, man, last week was quiet, but this? A single video game is coming out. If that's not an indicator that we're done for a while, I don't know what it is. But wait - A CHALLENGER APPEARS! Finally, oh finally, a US-Europe release gap that doesn't end with us Europeans getting royally shafted. 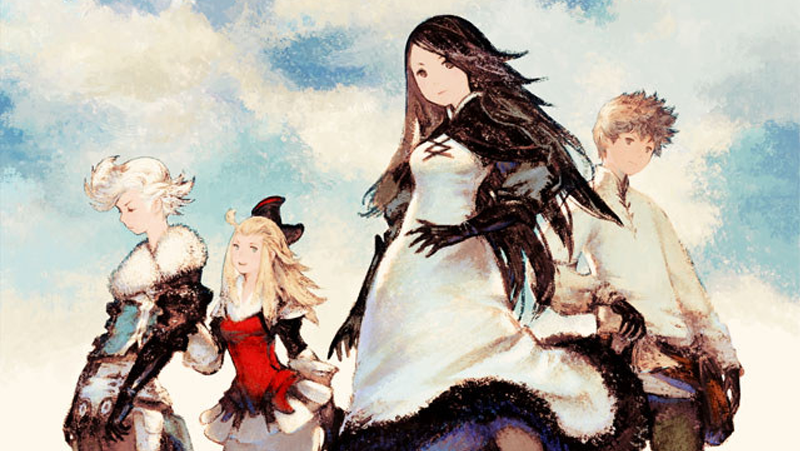 The tables turn this week, when Bravely Default: Flying Fairy hits 3DS this Friday in Europe - and it doesn't come out in the US till next February. This is actually a damned shame because Bravely Default, an old-school JRPG from Square-Enix with a soundtrack by the guys who did the OP songs for Attack on Titan (Oh yes), art from the incredible juggernaut of classic JRPG fantasy that is Akihido Yoshida, and some refreshing twists on time-told mechanics, looks like it could be one of the best games of 2013. NOW YOU KNOW HOW WE FEEL ABOUT STILL NOT HAVING A RELEASE DATE FOR SHIN MEGAMI TENSEI IV, AMERICA. But man, yet another stellar 3DS game on the horizon? I'm just about ready to say screw PS4 and Xbox One, 2013 is the year of 3DS. The Playstation 4 is the fastest selling console in UK History - Although final exact figures aren't in just yet, the console's sales of over 250,000 units in just the first day means that PS4 easily sails past both the Xbox One (which sold around 150k in the UK on day one) and the lifetime sales of the ailing Wii U, into the record books past the last title-holder, ending the 8-year reign of the... PSP? Huh. But whatever way you slice it, the PS4 has had a rather successful launch period. TWD Season 2's début episode is called 'All that Remains', features a returning Season 1 Character - So maybe don't click through if you want to keep it a surprise? Telltale have reconfirmed a December launch window for the follow up to last years GOTY-candidate smash hit, but what is perhaps most intriguing is Eurogamer's mention of next-gen console releases too. As someone looking to transfer to next gen this holiday, and even switch platforms, I really wish Telltale would come out and clarify just what will happen to save transferring. Hell, I'll even rebuy Season 1 on PS4 if that's what I have to do! Laughably bad Cricket game finally releases, gets pulled from sale a day later, and then retroactively cancelled - It's been a long road for Ashes Cricket 2013, which was due to come out almost half a year ago in time for the Ashes tournament between England and Australia, but its release last week was marred by the fact that it was horrifically, comically terrible, and broken to boot. 505 Games chose to rapidly pull it off Steam, and are now mothballing the project, offering refunds to people who managed to buy it during its bizarrely short retail lifetime. One of EA's first games with the Star Wars license might be an open world game - Superannuation, the sleuths famous for digging up all sorts of secret in-development games, revealed this one on Kotaku last week, and man... GTA: Coruscant? Give me a smuggler and a blaster over a Jedi twirling their lightsaber, and I am in so very badly. 2013's been a pretty awesome year for video games - aside from being the Year of Luigi, of course - from being the reveal and launch of both the Playstation 4 and Xbox One, some fantastic titles like Bioshock Infinite and The Last of Us, and even the début of a Kinja-revitalised Tuesday Game Room! So I thought that over this last month of the year, we could begin looking back at some of our favourite games of 2013, and as New Year's Eve falls on a Tuesday, have it culminate in the first Odeck Community Game of the Year Award! I'll be putting up a post later today at 5pm EST, and occasionally re-linking to it throughout December - just leave a comment with the name and platform of your favourite game of 2013 (no revotes, one comment per user - so have a good think about it! ), and at the end of the month I'll tally them all up and reveal the winner in the special New Year's Eve edition of Tuesday Game Room. So get your deliberating caps on and get ready to champion your own Game of the Year!